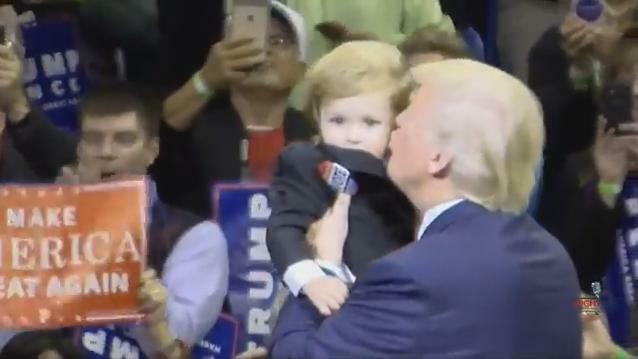 At a campaign stop in Wilkes-Barre, Pennsylvania on October 10, Republican nominee Donald Trump noticed a youngster in the crowd who bore a striking resemblance to himself. After giving the Secret Service the official thumbs up, the lad was handed up to the podium. What happened next couldn’t have been better scripted if written by Hollywood, and as they say in show biz, the crowd went wild.